I've always wanted to visit the factories of the greatest British automotive brands. Marques such as Jaguar, Land Rover and Lotus all speak of a uniquely British heritage, one that takes great pride and passion in producing cars. Right now I'm in awe at one great British brand's massive, state-of-the-art factory. The thing is, I'm not in the UK. I'm in China. MG, after all, is now under Chinese management. And ownership. Let's rewind the clock and flip back the calendar to 2005. Chinese cars during that time were more known as copycats with rather blatant copies of foreign models. Worse, they were built with shoddy quality, and sometimes components literally fell off of the vehicle. Rubbish, as the Brits would say. But the Chinese had other plans, particularly SAIC, or the Shanghai Automotive Industry Corporation. One key move they pulled off was 'rescuing' the 80-year old MG brand. Back in the present, we arrive at SAIC’s Lingang plant in Shanghai, about an hour and a half away from the city center. While inside the factory, we see systematically planned assembly lines similar, if not even newer than those of American and Japanese vehicle plants we've managed to visit in the past. The state-of-the-art factory is no doubt a benefit of having such a big and wealthy parent. 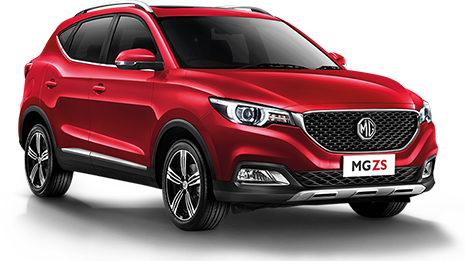 MG's backer, automotive giant SAIC Motor, is China’s #1 automotive company and 36th on the Fortune Global 500 list in 2018. With a consolidated sales revenue of $128.82 billion, it is the 14th time for the Chinese automaker to be among esteemed global companies. Oddly, our tour started in the assembly area with bodyshells on their final journey to become passenger vehicles. Skilled workers aided by modern tools, unmanned guided vehicles (UGV) worked on each shell through the different stages in the rather neat factory floor. Next stop was their stamping shop featuring two massive stamping machines that make the different parts of the vehicle body, all of which are produced in-house from metal sheets. This was followed by the massive body shop which featured a semi-automated process with robotic arms and human-controlled operations, as well. These robots (and Chinese factory workers) probably won't be taking breaks for afternoon tea like the Brits would. In the last couple of decades, many British marques found themselves in trouble. They were, in many ways, over the hill. A changing automotive industry -both in the UK and the world- meant that great automobiles Made in the UK weren't as competitive. Japanese brands were getting stronger, German automobiles were going for the premium market, American cars were getting better, and Korean automobiles were surging forward in design and technology. China, by virtue of their population and low-paid workforce, were able to sell virtually-copied vehicles at rock bottom prices, just don't get into a crash. These troubles for the British auto industry led to what was effectively a garage sale of UK brands. Land Rover was sold to BMW, then to Ford, and again to current owners Tata. Jaguar was sold to Ford, and then to Tata. Bentley has a checkered business history, and is now owned by Volkswagen. Rolls-Royce (which also produced aircraft engines) at one point became nationalized due to bankruptcy, and the motor car business was separated, and is now owned by BMW too. Lotus did poorly too; they're now majority owned by Geely. Aston Martin also had some troubles and ended up being bought by Ford, and later on a consortium led by Prodrive owner David Richards. Today's AM is faring much better, and is actually profitable, so much so that they initiated a public offering of the company's shares. But MG was, by far, the worst off amongst their peers at the time. The once great British automaker suffered a full-on collapse, with their models failing to be competitive in the market. Have you heard of the XPower SV, the TF, the ZT, the ZS or ZR? Chances are, you haven't. And it comes as no surprised then that MG was sold. SAIC actually lost the bid to purchase the British marque. It was Nanjing Auto that was able to successfully acquire the MG brand from the failed MG Rover Group. 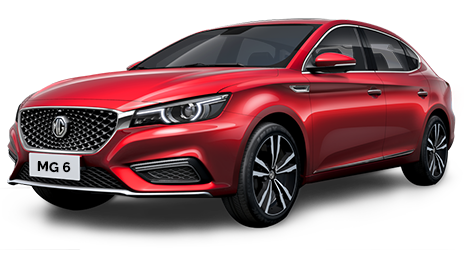 Two years after, as if decided by fate, SAIC would acquire Nanjing Auto through a government mandated merger, which eventually gave them the MG brand. After another failed bid at the Rover brand name, which went to Ford in 2006, SAIC decided on creating their own marque called Roewe; a name supposedly derived from the German word Löwe, which means lion. 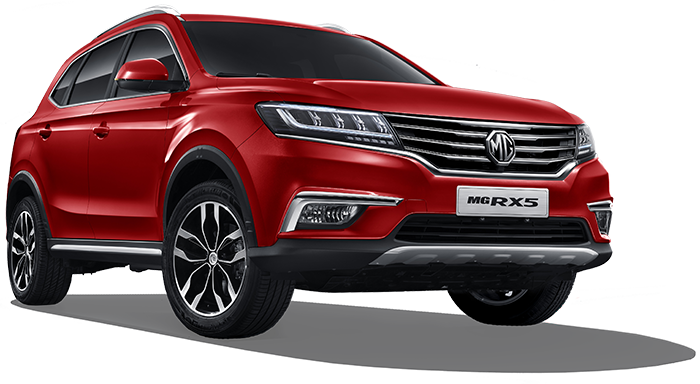 Roewe initially produced Rover-based models and would eventually become SAIC’s flagship homegrown brand which it develops alongside MG.
SAIC really means business with the MG brand. Judging by what we've seen, the parent is pouring in funding unlike anything before. SAIC, after all, believes in their corporate vision to build an innovative, globally-recognized company that pioneers the automotive future. That's a strong indicator of a progressive company. Being the most successful Sino-foreign auto joint-venture in China since 1978, partnering with global auto giants such as VW, GM, Volvo Bus, and Iveco, SAIC has absorbed intensive technology transfer and know-how. To further improve its competence, it opened different R&D facilities as well as various innovation and design centers across the globe. Most notable of these facilities include the ones in Birmingham (UK) and London (UK), Silicon Valley (US), Nanjing and Shanghai (China), and Tel Aviv (Israel). Successful companies continuously develop and improve themselves. We visited SAIC's facilities such as their intelligent safety lab, climatic wind tunnel lab, and NVH testing room where some current models were being re-evaluated for possible improvement. Intent to changing the image of Chinese cars as mere copycats of foreign brands, SAIC Design’s headquarters in Jiading District, Shanghai houses state-of-the-art design facilities where talented designers work on this goal. Now leading the team is recently promoted SAIC Global Design Director Shao Jingfeng, who began his career with SAIC-VW. He is responsible for the Roewe Vision-R concept which was recognized as the Best Designed Concept Car in China in 2015. For the MG brand, they released their first concept – the MG Icon at the 2012 Beijing Auto Show, to show the world that the brand is in capable hands. Three other concepts followed, but it was not until another five years after where it showed off its E-Motion Concept at the 2017 Shanghai Motor Show. The gran turismo E-Motion EV concept is a grand evolution of MG in terms of design and technology, while paying homage to its rich sportscar heritage. To further dispel the design copycat stigma bestowed upon China, the company has since hosted the "SAIC Design Challenge", its 6th in 2018, which encourages fresh global design talents to share their vision that will drive the future of mobility. SAIC’s core manufacturing competence lies in their diverse business units which include auto component production, engine building and complete in-house production of sheet metal into car body in its different facilities It now has major manufacturing facilities in Lingang (Shanghai), Pukou (Nanjing), Zhengzhou (Henan), and Chon Buri (Thailand). Two upcoming factories are currently under construction, Ningde (Fujian), and Gujarat (India). Officially starting its export business in late 2014, it has successfully developed markets for MG passenger vehicles and Maxus commercial vehicles. About 28,000 MG cars were sold globally in 2018, a 222% growth compared to 2017. It aims to replicate its success in the Philippine market in the coming years. Much like its principal, the new Philippine distribution of the MG brand is now with the capable hands of The Covenant Car Company Inc. (TCCCI), the same group behind Chevrolet. MG is banking on three models for its resurgence in the Philippine market, two crossovers and a fastback sedan. These are the RX5 compact crossover, ZS crossover, and the MG6. TCCCI is also planning to open 16 independent full service dealerships nationwide to help them with their brand presence and optimistic sales targets. A strong well-built product range, competitive pricing, and a supportive principal are eyed as MG’s recipe for potential success in the Philippines. We just hope they bring their marketing expertise and experience to the fore, and avoid the glaring errors of MG's previous distributor in the Philippines. Remember when MG Philippines used the slogan “Small but Terrible” for the MG3 hatchback?